Students gain hands-on experience working in the Senior Automotive Lab during their senior year. The purpose of the senior automotive lab is to provide live work for our students to gain experience on during their senior year at school. Many faculty, staff and students have taken advantage of the services the automotive students have provided throughout the years. The live lab environment helps instructors evaluate the practical hands-on ability of our students as opposed to just learning from a book in an atmosphere that is close to, but not quite, an actual shop. The benefit to the college community is that there is the possible opportunity to have your personal vehicle worked on for a fraction of the price found at a regular automotive shop. As stated above, our first priority is the learning of our students. This includes finding jobs with the most educational value from an instructional standpoint. The automotive lab will not take any job presented to us. We will evaluate vehicles by type of work, labor hours necessary and our availability to the tools needed to complete the job. As a general rule, we do not take in vehicles manufactured before 2000. As a learning facility, we are not a NYS registered automotive shop, and do not fall under such jurisdiction. There is the possibility of things being damaged in the process of diagnosing and repairing your car, none of which will be our responsibility to cover monetarily. For our students to get the most out of a job, the vehicle owner must agree to do the complete repair and have the means to get all necessary parts in a timely manner. 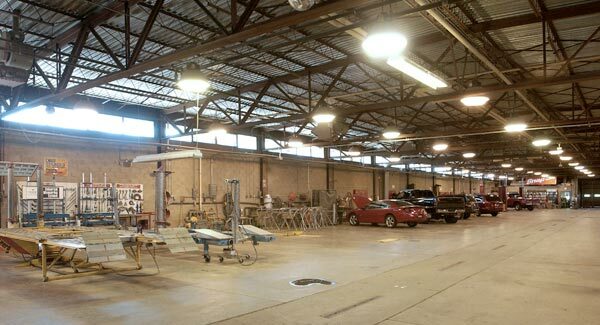 The automotive lab is unable to purchase, pick-up or exchange parts for any vehicle in our care. Because a vehicle may not have the parts present for completion and the lab is only in session for four hours per day, the customer must have a secondary means of transportation at the ready in the event the vehicle is not completed. We can make estimations, but no promises as to the time it will take to complete a vehicle, as the students all learn at different paces, and we run this shop as a learning facility, not a production facility. After an appointment has been approved and scheduled, a $15 lab slip from the Cashiers Office, along with a current registration and insurance card will be necessary to fill the paperwork out to bring the vehicle in for service. Alumni, faculty, staff and students that are interested in taking advantage of this service may complete the appointment request form below. Any questions can be sent to George P. Raneri or Randy Howarth.